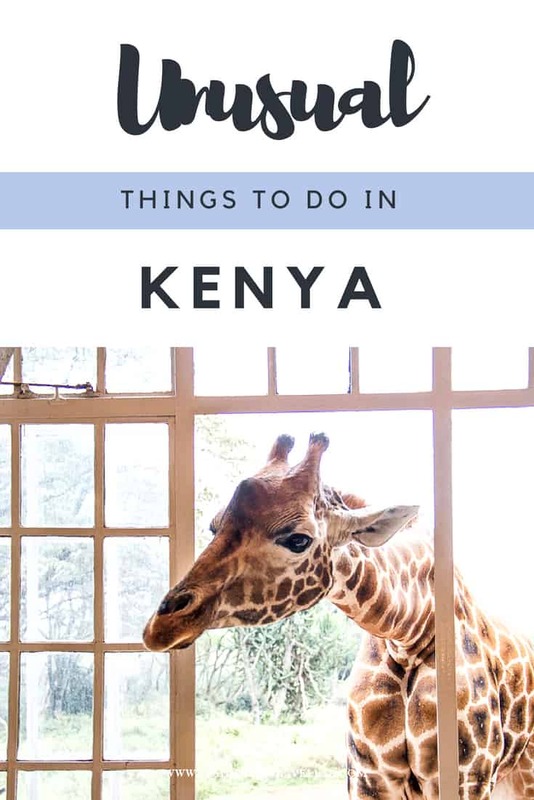 This Giraffe Manor Hotel Review aims to let you decide whether or not to visit one of the most intriguing hotels in Kenya. As the car pulls into the driveway, the gravel scrunches beneath the tyres. The sun settles on the stone-clad ivy and fluffy clouds puff past overhead. The Manor looks straight from Scotland, but the rust red earth betrays the fact that this is Africa. Well, that and the warthogs scurrying past, tails ramrod straight like lightning conductors. Giraffe Manor lives on the outskirts of Nairobi amid a 12 acre enclosure that marries sub-Saharan safari with the British National Trust. It’s the perfect stop after the overnight flight from London before further flights and long drives set in. Cool white mosquito nets breeze between dark teak cabinets, floors and plum purple rugs. Imposing staircases, open fireplaces and well-stocked bookcases bring a warm sense of grandeur to the place but it doesn’t take too long to spot a motif. Giraffe mosaics glitter above the bath, giraffe letter holders glint on the desk and through the breakfast and bedroom windows swing the necks of giraffes themselves. Not for nothing is Giraffe Manor called Giraffe Manor. It may not look like it, but these long-lashed, long legged, long necked creatures are under threat. 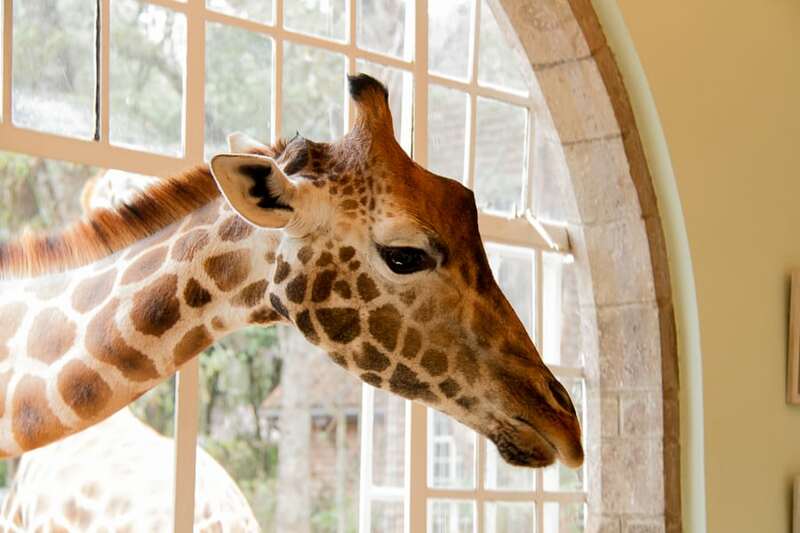 The Rothschild giraffe, as distinguished from the reticulated giraffe with its “white stockings” and creamier whites and more mocha browns, is critically endangered, with only a few hundred remaining in the wild. 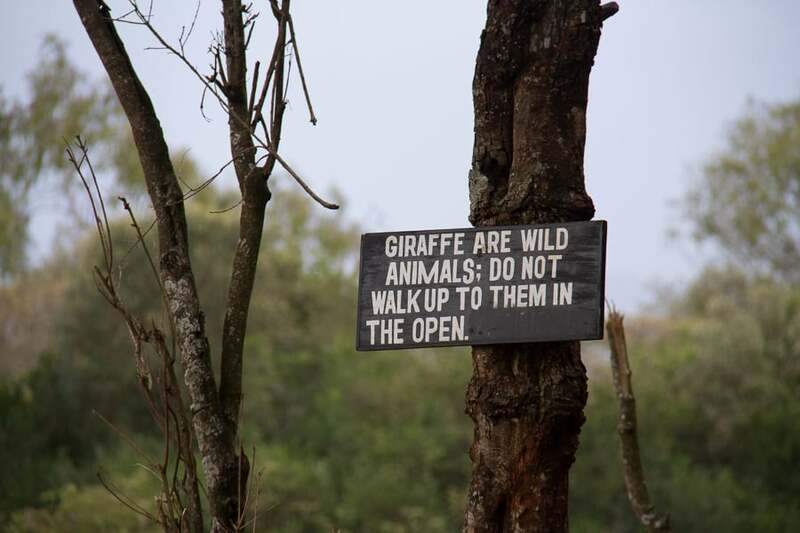 And it was the desire to try to save the species that led to the creation of Giraffe Manor in the first place. They’re curious creatures to see up close, lolloping in a steady yet ungainly rhythm, knees looking ready to buckle at any moment, necks looking stronger than a steel-reinforced boa constrictor. Staff here know them by name, calling out to their favourites and showering us with instructions and food pellets to entice them in. I’ve never felt to comfortable feeding animals, I’m embarrassed to say. Each time a horse has chomped its lips near my hand, visions of a quick bite and salivary suction hoovering up my hand to the elbow makes me jitterier than a over-caffeinated crackerjack. With giraffes, it’s different. A little. First, their heads look less harmful, til they swoop down at great speed, swerving through the window like a velociraptor resurrected from Jurassic Park. Without a moment’s pause, they’ve found my hand . Like the touch of dry, fluffed velvet, the giraffe tongues snuffle up the pellets, leaving a gloopy trail of saliva that would feel at home on a Ghostbusters film set. Rapport thus established, I’m encouraged to slide my hand along the top segment of her neck, my hand small against the smoky brown jigsaw. 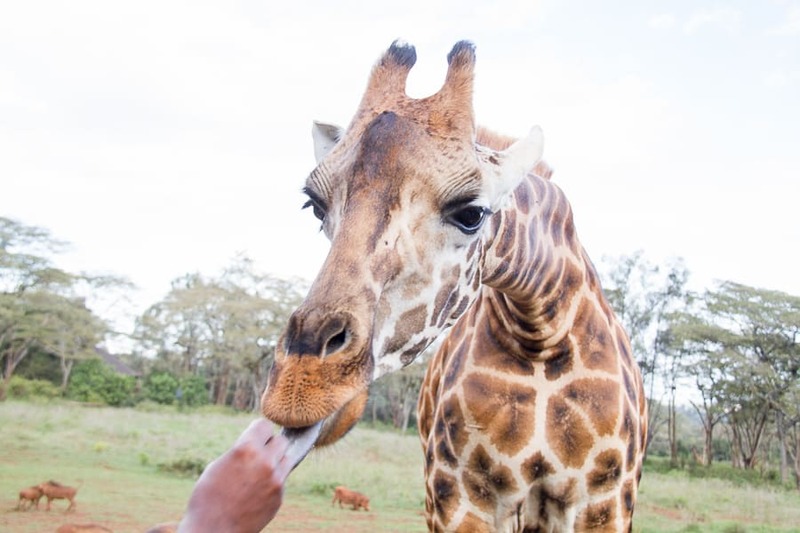 While a giraffe tongue feels soft, their coat feels tough and wiry, more camel hide than smooth, glossy horse. But their eyelashes simply mesmerise. And then, pellets exhausted, the eyelashes and the head that holds them swoops backwards up and out and away. And their gangly, lumbering yet oddly majestic stroll carries these twiglet-twinned creatures away, across the terrace, across the grass and out of site into the grounds of Giraffe Manor. And I am left, simply watching. Giraffe Manor is one of the four stunning safari properties that make up The Safari Collection’s portfolio. You can organise an individual stay here or add it to a bespoke tour of luxury safari lodges in Kenya. 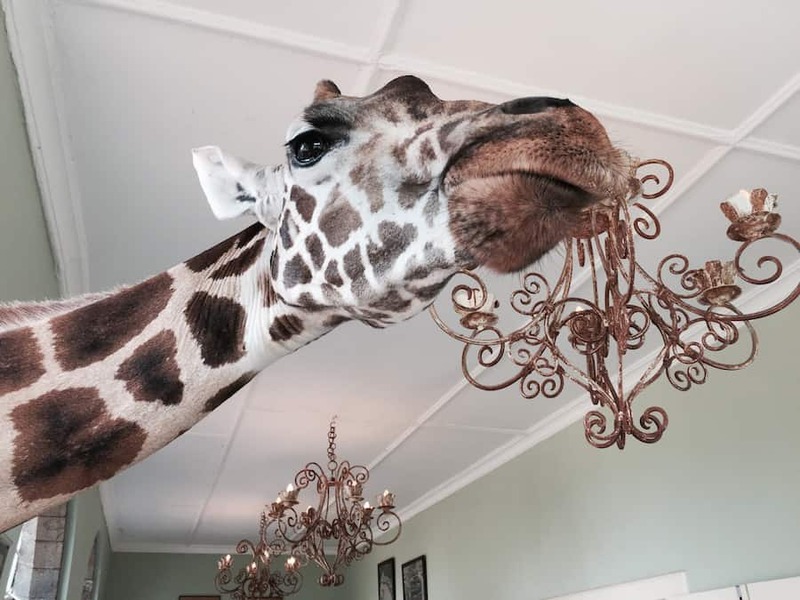 Disclosure – I visited Giraffe Manor as a guest of The Safari Collection. You know the drill by now – I write what I like, no matter what here on Inside the Travel Lab. Well written report. Made me feel I was there with you at Giraffe Hotel. Thanks Darlene – I’d love to be back! So beautiful, so restful. I thought of you and that small giraffe we bought the whole time! Yes, it certainly livens up the meal. And up close, they’re so astonishingly beautiful. It’s a place made for you! That is one selfie for the record books :) Looks like an incredible experience, would love to spend some quality time like that with one of my favorite animals on the planet. I’ve had lunch with monkeys and dinner with lions but never breakfast with giraffes. Take me next time! You can keep your monkeys – but dinner with LIONS?! I’m intrigued? And yes – let’s all go next time! I’ve seen photos of this place for years but had no idea about the backstory. Very cool. Ah – it seems that loads of people have heard of this place. I never had but wish I had! Um, is this place real?! 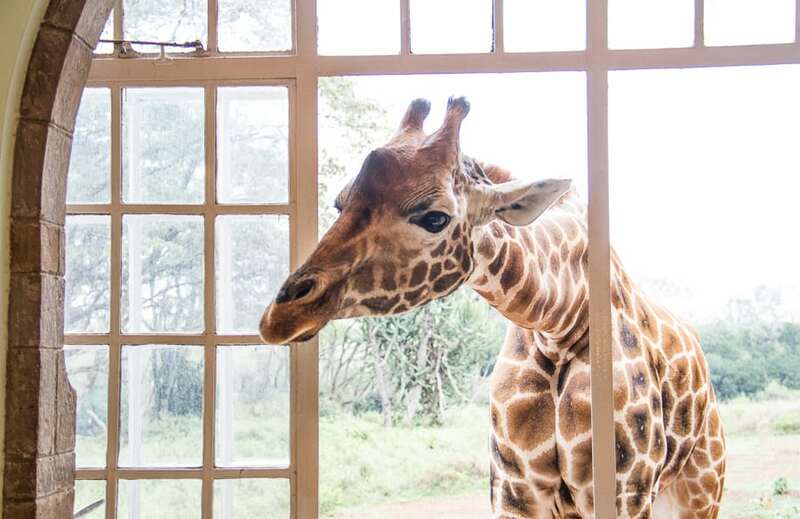 I’m beyond animal obsessed and I can’t think of anything I’d find more exciting than a giraffe sticking its head into the window to say good morning. Abi, you’ve officially added a new destination to my bucket list! Abi – this place is the coolest!!!!! Wow – you are so lucky. I want to go here so bad!! Loved the pics too! !